Scuba Santa on Tuesday suited up for a dive in the California Academy of Sciences' Philippine Coral Reef tank. During his time in the 212,000-gallon exhibit, Scuba Santa answered reef-related questions from visitors. The event is part of the Academy’s annual ‘Tis the Season for Science: Life on Ice exhibit, which runs through January 7). The special holiday dive show will happen daily at 11:30 am through Monday, December 25. Santa Claus doesn't just sit at shopping malls in snow-challenged San Francisco: He also goes scuba diving. 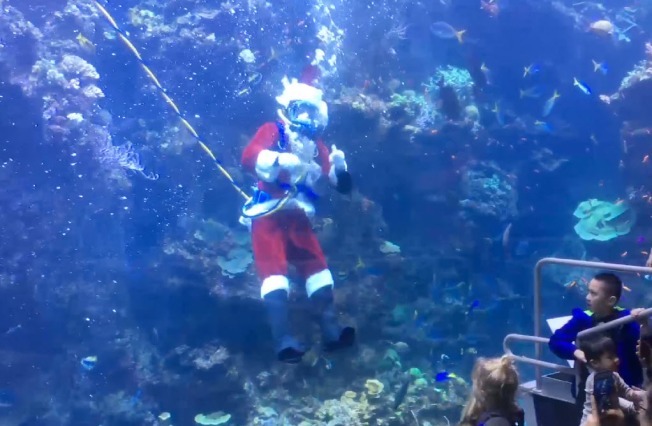 The California Academy of Sciences launched its annual Scuba Santa show Tuesday with about 100 children and adults crowded around a coral reef exhibit to watch jolly St. Nick feed fish. Diver George Bell also answered questions via underwater microphone about the reef and reindeer. He high-fived through the glass and posed for photos, delighting children thrilled with a swimming Santa. The daily feeding runs through Christmas Day. The academy's Philippine Coral Reef tank holds 212,000 gallons (802,000 liters) and has thousands of reef fish representing about 100 species. 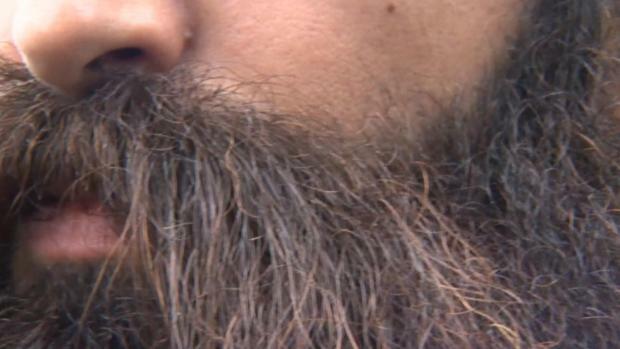 Parent Michali Kolnick says the tradition is a charming San Francisco "spin on meeting Santa." Those at home can watch online by webcam.